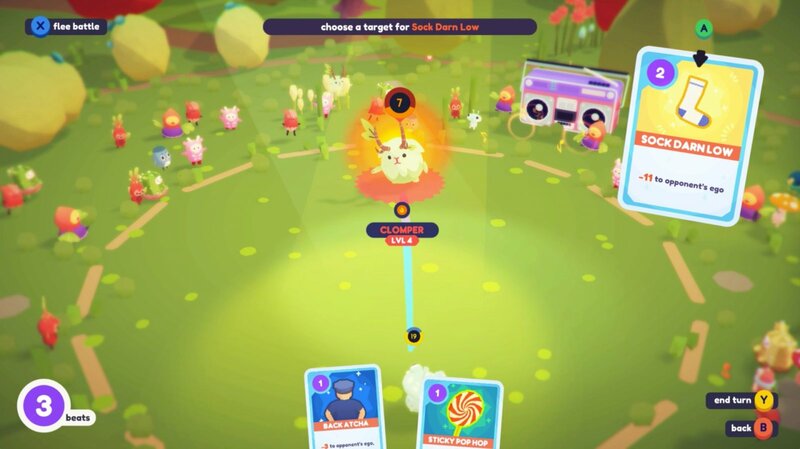 Ever since developer Glumberland debuted their dance battle system for Ooblets at E3, they’ve been tinkering away to get it ready for showtime. Today, they detailed the fruits of their labor in a blog post, detailing all the ways their dance battles differ from traditional RPG combat. While most of the underlying concepts and types of moves have remained pretty similar, we’ve changed a lot. It’s moved a bit further from traditional RPG style battles to more card-like battles in the realm of Monster Slayers, Card Quest, and Slay the Spire. Now, each ooblet will have a deck of unique cards that it earns one-by-one by leveling up. Each round of battle, you’ll get three random cards drawn from the cards available to your three-ooblet team. Playing each card costs a certain number of action points, and some cards may even affect your action point pool or allow you to draw additional cards. Glumberland has also streamlined status effect durations, making them last either one turn or a whole battle, and is adding a system to upgrade moves using crops. You can read more about these changes and what’s next on the developer’s blog.